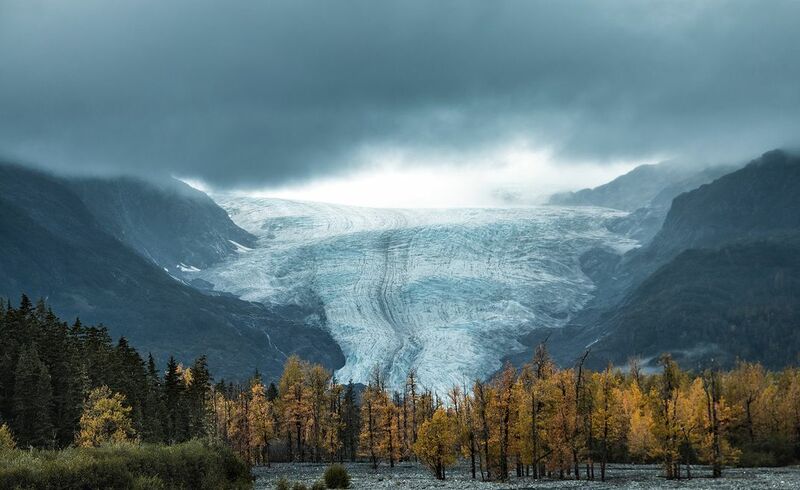 Exit Glacier in Kenai Fjords National Park in Alaska. The glacier has been significantly receding for the past years. It was raining hard the whole day before the day I took this shot. No vibrant sunrise colors but at least it didn't rain. I was scouting for a interesting foreground but prove to be difficult to spot one. I found one just beside Resurrection River and got this shot . Date Uploaded: Nov. 4, 2016, 1:18 a.m.